You are cordially invited to join us for our next roundtable discussion on smart energy systems with Mr. Markus Graebig from WindNODE and Mr. Heiko Staubitz from Germany Trade and Invest (GTAI). 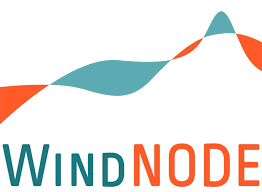 “WindNODE – showcasing smart energy systems from northeastern Germany” is a consortium with over 70 distinguished partners from industry, business and academia. WindNODE has been selected and supported by the German Government (Federal Ministry for Economic Affairs and Energy) as one of the landmark R&D projects for future energy systems. Already, 50% of the WindNODE region’s electricity mix stem from wind, photovoltaics and other renewable sources. The consortium’s key challenge is the integration of large shares of volatile renewable electricity into the energy system while maintaining security of supply and efficient system operation. Mr. Graebig and Mr. Staubitz will introduce us to the WindNODE concept and speak to the topic of energy transition in particular, with examples from the German experience. How to manage the energy transition and who should be leading this transition? What constitutes a smart energy system? How to effectively integrate low-density areas in a decentralized energy system? How necessary is baseload in a decentralized, smart energy system? What types of new business model arise? How do you ensure acceptance and participation from citizens in the successful transition of the energy system? What can Canada and Germany learn from each other and are there areas where deeper cooperation between the two countries is possible?